In 1999, David Nerattini and Stefano Torossi worked on compositions on two album releases, Costanza Records’ Musica per commenti sonori: Check Up and Rai Trade’s Sport & Travel. Nerattini, also known as Little Tony Negri, recently discussed these two CDs as well as his current position at Flippermusic and some of his many music-related projects, including playing drums for La Batteria, a modern band that draws inspiration from the classic Italian library and soundtrack music of the 1970s. 6D: How did you meet Stefano Torossi? 6D: How did the opportunity to compose with Stefano Torossi on the Sport & Travel album come up? DN: In the 1990s, Massimo Catalano’s nephew Federico also worked at RAI. He needed some music for a nature television show, some library stuff, and knew of my work as a hip hop producer. He hooked me up with Stefano. 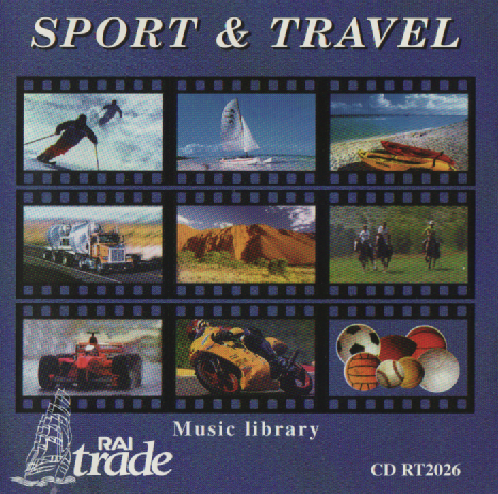 The eight compositions by David Nerattini and Stefano Torossi on Sport & Travel include “Snowboard,” “Doping,” “Enduro,” “Electrotension,” “Latin Champions,” “Muscles,” “Indianapolis,” and “Stunt Cars.” As none of these pieces from this out of print CD are currently available in any format save the handful of collectable discs RAI Trade pressed in the initial run, this site has received permission from both composers to share a track on this site. If any other legal rights holders object, please contact this site directly and the video will be removed immediately. 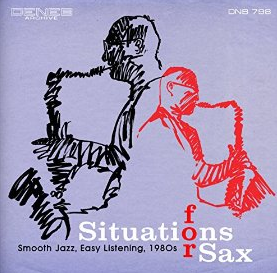 6D: What about “Existential Torment,” the track you did with Stefano Torossi on Musica per commenti sonori: Check Up (an album recently reissued as a digital download)? As a fan of Massive Attack and Portishead since each band first arrived on the music scene in the late 1980s and early 1990s, respectively, I was wondering how much they influenced you on this particular composition? DN: Stefano, who also produced the album, was looking for a modern sound. He wanted some hip hop and trip hop beats. “Existential Torment” was the result. Besides being an artist and producer, David Nerattini works at Italy’s legendary Flippermusic, a family of labels and sub-labels that is particularly active in the production and soundtrack music genre. 6D: I’m curious about your “day job” at Flippermusic. Given their rich musical legacy, it seems like that would be a special place to be associated with. When did you start working there? DN: Around 2007, I started as an archivist. Later I became a consultant. 6D: What do you do there now? DN: I’m working as a manager and A&R for the Octopus and Deneb labels, dealing with composers, studio engineers and musicians and overseeing the production of every album we release from start to finish. We release four to five new records a month, mostly of new material but also some reissues of older albums from the wide Flipper catalogue. I also deal with transcribing and digitizing masters, sometimes for licensing purposes. In fact, I have access to all the masters of the entire Flippermusic catalog. I also handle compiling, sequencing, and naming tracks, as well as devoting a lot of time contacting composers to obtain permission to reissue their older material. In 2012, Criminale Vol. 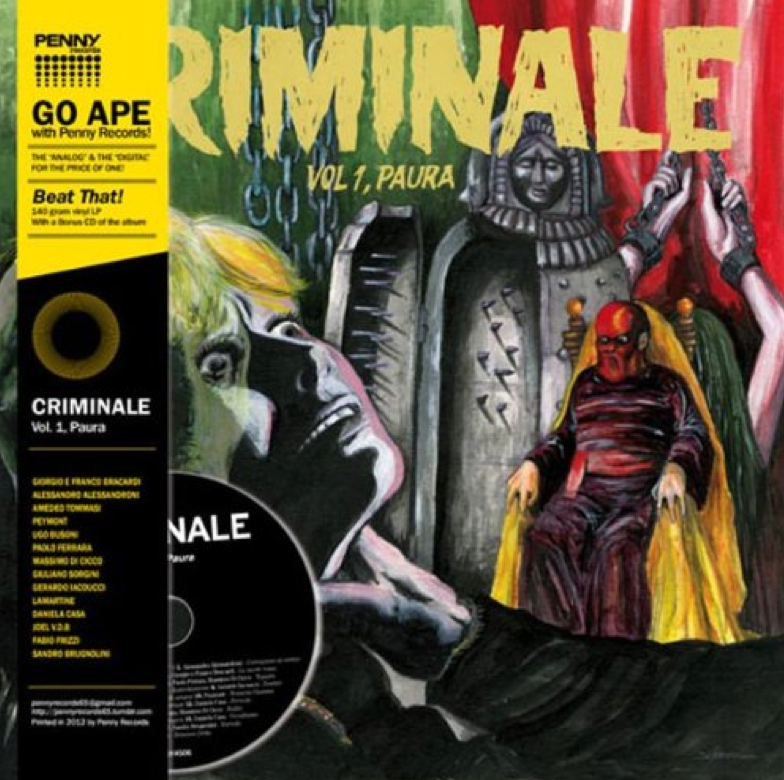 1, Paura, a 140 gram vinyl LP bundled with a CD of the album, was compiled by David Nerattini for Penny Records. The collection highlights 18 tracks from the vaults of Flippermusic, whose labels in the 1960s included Canopo, Deneb, Flirt, Flower, Octopus, and Record TV Discografica. Nerattini also compiled Criminale Vol. 2, Ossessione in 2013, another LP-CD bundle on Penny Records showcasing some of the greats of Italy’s library music industry. 6D: Wow, that really sounds like a dream job to this music correspondent! One question: what happens when the master is damaged or missing? What do you do? DN: There are times we are forced to use the only source we have, a vinyl LP, to make a new master. In his current role at Flippermusic, David Nerattini has overseen at least three full length album releases of music by Stefano Torossi in 2014 including Celtic Lands, a 2002 reissue with Mariano De Simone, Situations For Sax: Smooth Jazz – Easy Listening – 1980s, with Claudio Pizzale, and Tangos: World Music – Argentina – Documentary, a 1998 reissue with Federico Arezzini. He’s also worked on Primrose Music, a Flippermusic label managed from Milan, which in 2014 completed digitizing the vast majority of their catalog. Many of these albums feature Stefano Torossi and are now available in digital format for the first time. Previously, Nerattini was responsible for Pinball Music, a digital-only label specializing in library music reissues which include some standout material from artists like I Cantori Moderni di Alessandro Alessandroni, Sandro Brugnolini, Daniela Casa, Remigio Ducros, Gerardo Iacoucci, Piero Montanari, Nino Rapicavoli, Enzo Scoppa, Amedeo Tommasi, and more–many who are also featured on releases by Penny Records. 6D: How would you assess the state of the production music field these days? DN: It definitely seems recording budgets are getting lower each year. More co-publishing models are being used, too. In addition to working behind the scenes at Flippermusic and its various imprints, David Nerattini has both produced and released music under his alias Little Tony Negri. 6D: What are you working on now? Is there anything you can share? DN: Italian B-Movie was just released on Deneb and is also coming out as a regular album in January, with a different cover and credited to La Batteria. And 9 Billion Coffins will be released on Octopus, a fake soundtrack to a non existent horror zombie movie. The four musicians, who play vintage instruments on the new release, came together as the result of a shared love of soundtracks and Italian library music of the late 1960s and early 1970s. Acknowledged influences include Alessandro Alessandroni, Stelvio Cipriani, Ennio Morricone, Bruno Nicolai, and bands such as Goblin and I Marc 4. La Batteria’s “Chimera,” written and performed by Emanuele Bultrini, David Nerattini, Paolo Pecorelli, and Stefano Vicarelli, is on YouTube. Recorded at StudioSette in Rome, the early preview track features Bultrini on mandolin and classical, acoustic, and electric guitars, Nerattini on drums, Pecorelli on electric bass, and Vicarelli on Mellotron, Hammond C3 organ, and harpsichord. More information about La Batteria, released 26 January 2015 on Penny Records, is found at the band’s facebook page HERE. The album is currently available in vinyl, CD, and as a digital download. European fans can find La Batteria HERE, while North American residents can purchase it HERE. Another musical outlet of David Nerattini is Italians Do It Bitter, a blog he maintains under his Little Tony Negri pseudonym that focuses on obscure, long out of print Italian library music. It’s a great place to discover music from the 60s and the 70s that deserves a new audience. Nerattini also hosts a regular program on RBMA Radio called Extrafly. 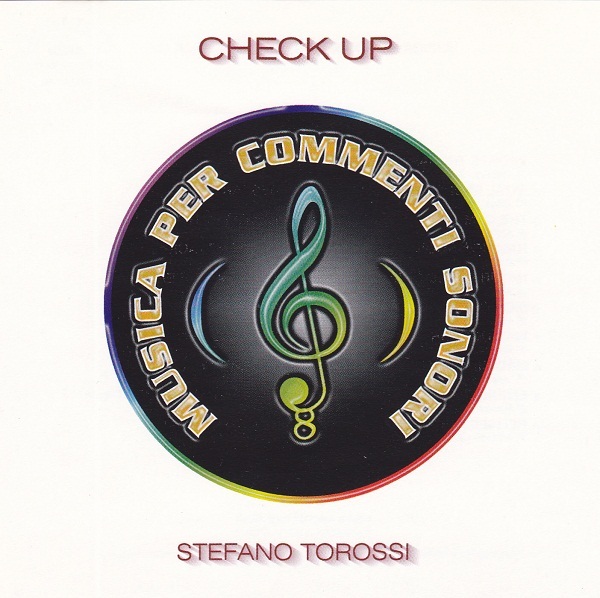 As the original CD of Musica per commenti sonori: Check Up is long out of print and virtually impossible to find, especially in light of the limited number of copies printed by Costanza Records, this site has received permission from both composers to share “Existential Torment” below. If any additional legal rights holders object, please contact me and the video will be removed immediately. 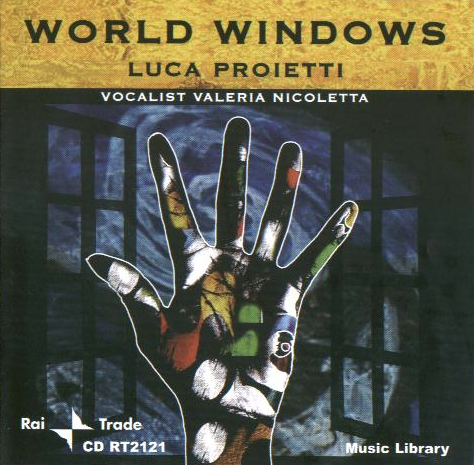 Next month, a special look at Luca Proietti’s World Windows, featuring vocalist Valeria Nicoletta. This 2007 RAI Trade album was produced by Stefano Torossi, and is just one of several albums the three have worked on together. Posted on 31 December 2014, in Interview and tagged Costanza Records, David Nerattini, David Nerattini aka Little Tony Negri, Emanuele Bultrini, Italians Do It Bitter music website, La Batteria, La Batteria 2015 Penny Records, Luca Proietti, Luca Proietti - World Windows 2007 album, Paolo Pecorelli, Penny Records, Pinball Music, Rai Trade records, Sport and Travel 1999 CD, Stefano Torossi, Stefano Torossi - Musica per commenti sonori - Check Up 1999 CD, Stefano Vicarelli, Valeria Nicoletta. Bookmark the permalink. Leave a comment.